There's little more comforting than making your own jam. No matter the time of year, the scent of stewing fruits is irresistible. The fragrant aromas which fill up your kitchen make it an anytime-treat, and reminds me of the handful of weekends I spent making a mess in my Aunt and Uncle's kitchen as a child. My Aunt and Uncle used to live near strawberry fields, and my sisters and I would spend hours picking strawberries, and if there were enough left over we'd make jam. It was wonderful. 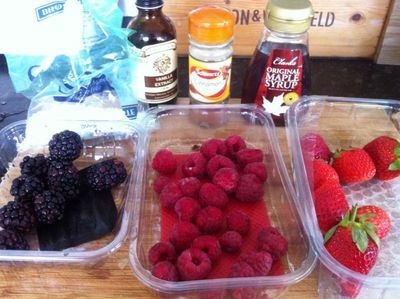 Wash and halve the berries. 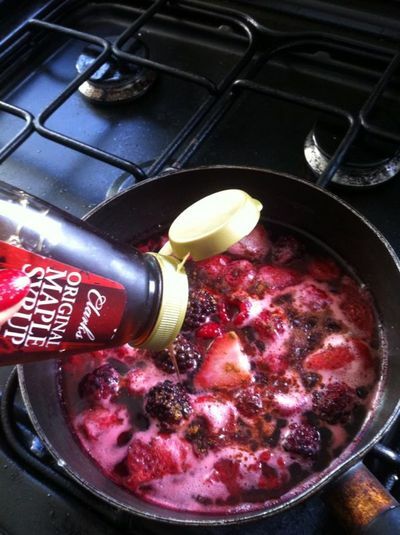 Pour 100ml of water into a saucepan, turn to a simmer. 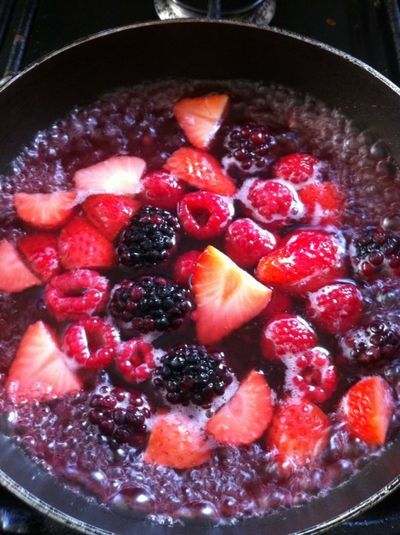 Add the fruit and allow to simmer for 5 minutes. Allow to simmer for 30 minutes. It will have reduced and become thick and gloopy - perfect. 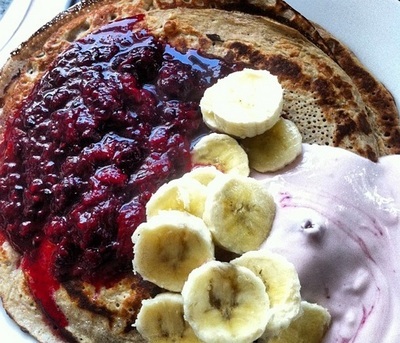 Serve alongside pancakes, top a bowl of porridge, or store in a jar for future use - use it as you like. wow ! its a delicious Recipe . thenk you for your recipe. 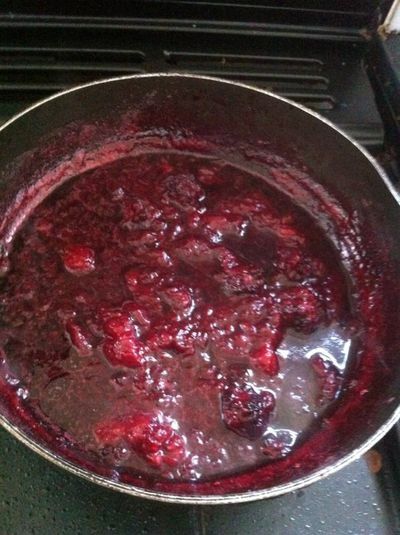 i love to make jam . i dont know how to make jam at home. always i buy from outside. it is not organic i know, but i love to do Jam for my children. thank you dear..